JSI—Journal of Spectral Imaging is an Open Access, online, peer-review journal publishing high-quality papers in the rapidly growing field of spectral, hyperspectral and chemical imaging as well as related areas such as remote sensing, and chemometrics and data handling for spectral image data. It is the first journal to bring together current research from the diverse research areas. Currently, the Open Access publication fee will be waived for all authors. With our >35 years’ experience of publishing high-quality scientific content, you can be assured that your work will be assessed fairly and quickly, and published with care and accuracy. Find out about JSI and Impact Factor. JSI is indexed in major databases, including Scopus, Google Scholar, CNKI Scholar, CAB Abstracts, CrossRef, Directory of Open Access Journals (DOAJ), Dimensions, Norwegian Register for Scientific Journals, Series and Publishers (NSD), Portico and Semantic Scholar. JSI is indexed in the Directory of Open Access Journals. 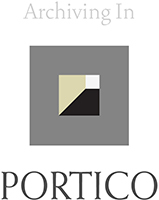 JSI—Journal of Spectral Imaging is pleased to be a member of Portico, ensuring that all papers are securely preserved for the future. 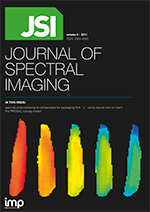 JSI—Journal of Spectral Imaging is owned and published by IM Publications Open LLP (IMP Open). IMP Open have particular experience in publishing periodicals and books in the spectroscopy field.